Thank you for submitting your item for appraisal. 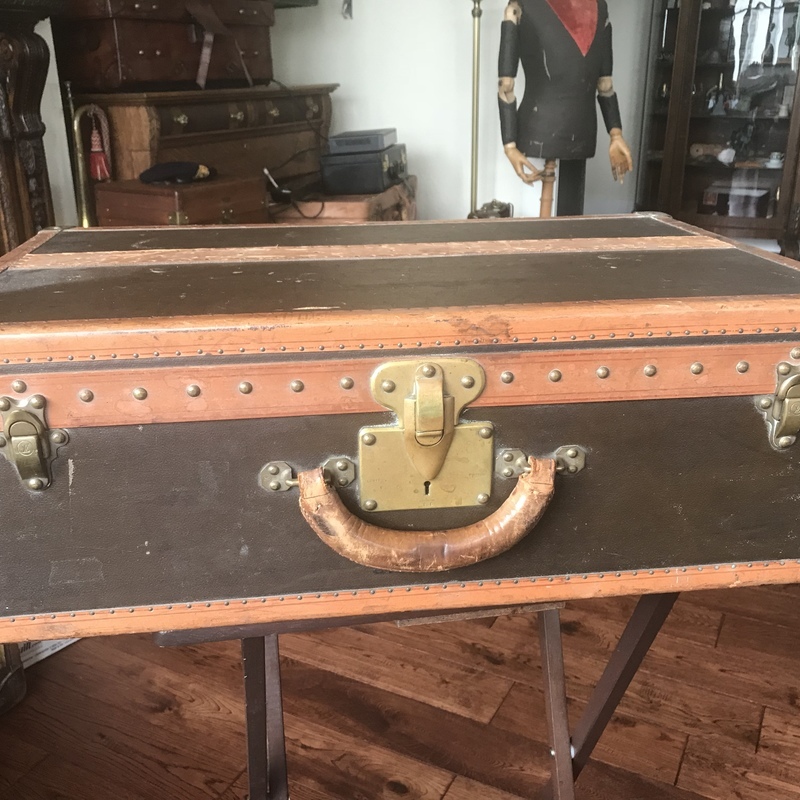 This appears to be an early 20th century Louis Vuitton medium size suitcase. With the Louis Vuitton name or monogram on the brass locks and nails. In apparently good condition. The estimate is based on similar offered or sold at auction. "Asking prices" in the trade can be higher and vary.